More than ever before, we hear the term “personal wellness” in the news, on billboards, in conversation and even at work. But, what does it mean, and how can we achieve it? 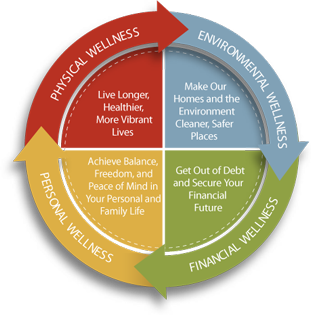 At ZeroToxic, we define personal wellbeing as a state of balance. Our over all state of wellbeing can be affected by so many things, including our health, our state of mind, our relationships, our finances, and our environment. When one of these aspects is unbalanced, the negative effects ripple into other parts of our lives. Take a moment to do a self-assessment: Are you feeling 100 per cent? If you’re not, you may find that you don’t have enough time and energy for the important things in your life, like your family, your career, or social activities. Many of our satisfied clients have said that their physical, mental and personal wellbeing has improved since they made the change to using ZeroToxic natural products in their homes. If you want to join them, you can start by providing a safe and healthy environment for you and your family, and doing your part to protect the environment for future generations. Find out about how you can make the change to chemical-free and environmentally friendly products by logging in or contacting ZeroToxic today.